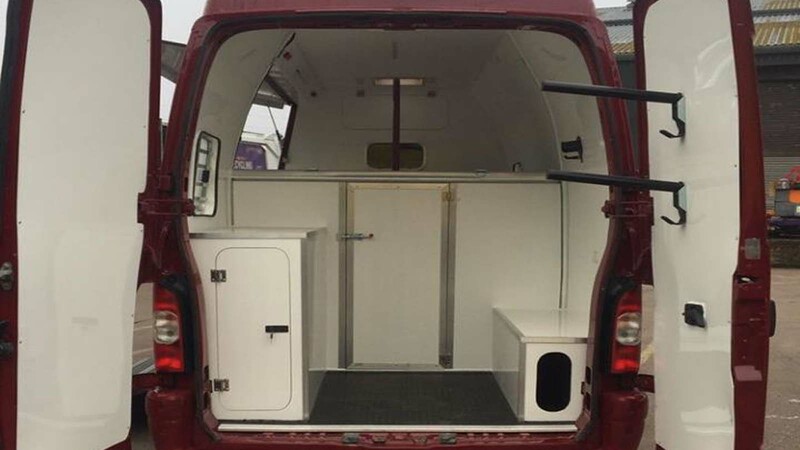 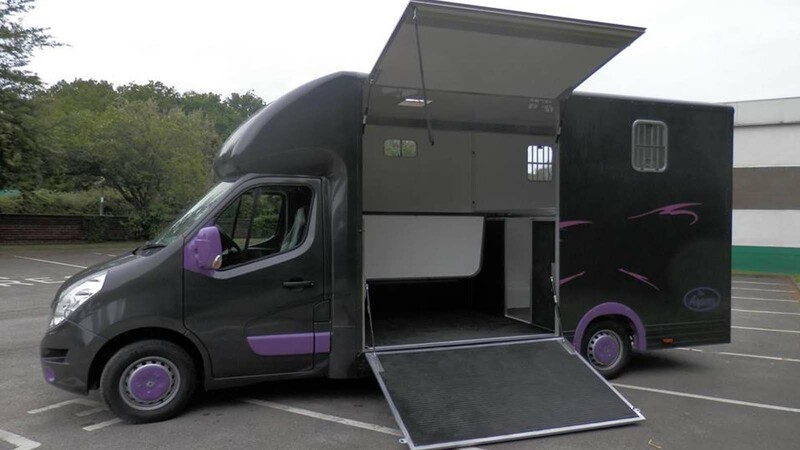 Custom made horse boxes built on renault master chassis, choose your colour, specification and optional extra`s. 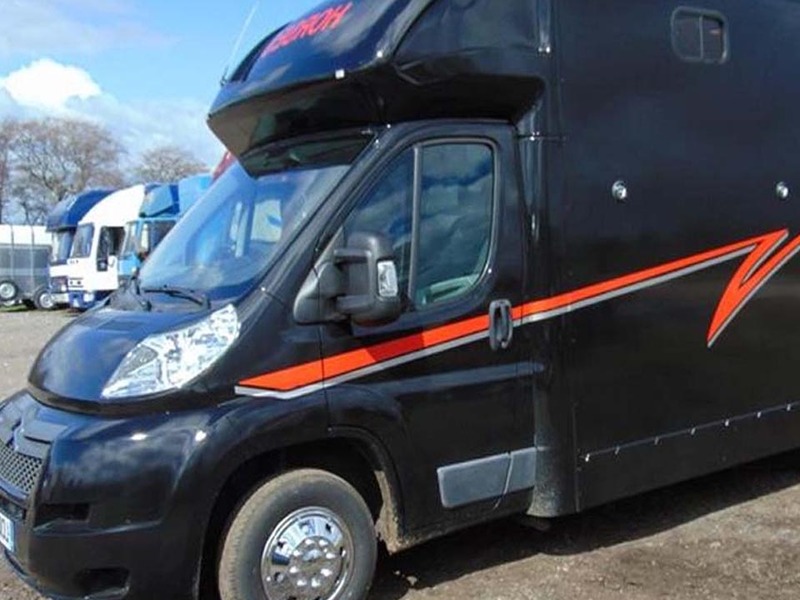 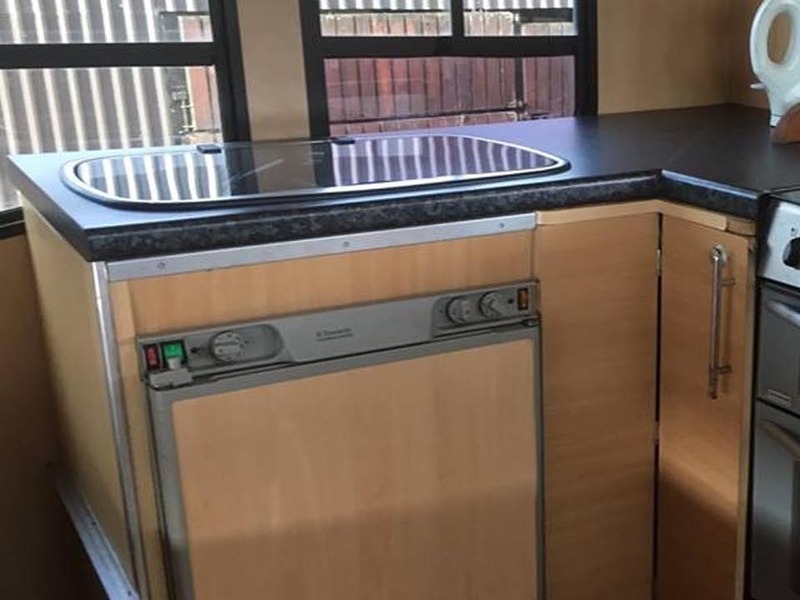 All horseboxes come with mechanical and build warrenties, contact us for more information and a no obligation free quote, finance options and part exchange available subject to status. 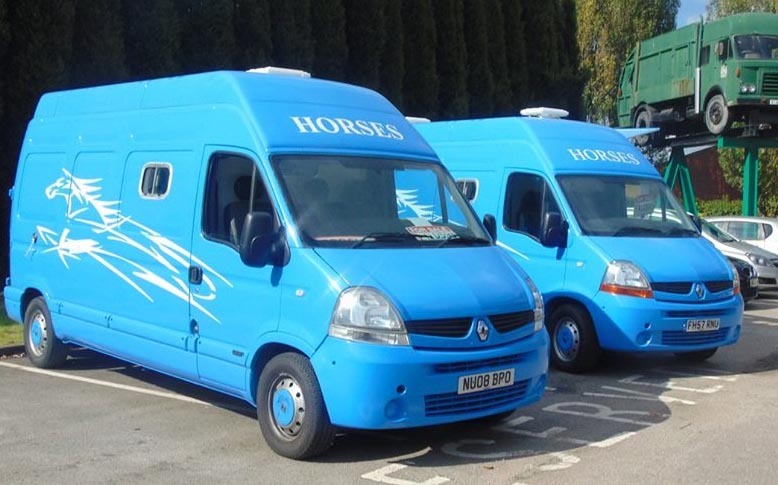 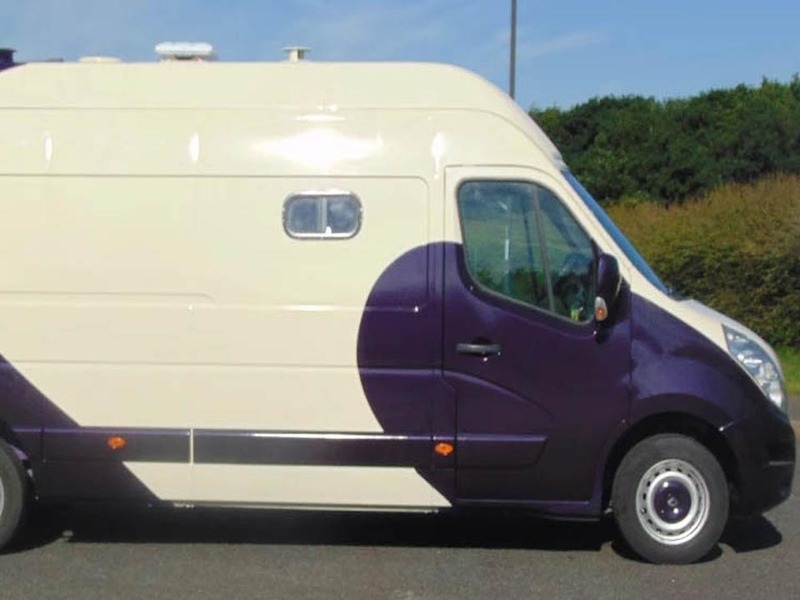 Renault master vans make an ideal choice for horsebox conversions, either creating a simple horse van which is the same shape as the initial Renault master alternately have a coach built horse box using a Renault master of the chassis. 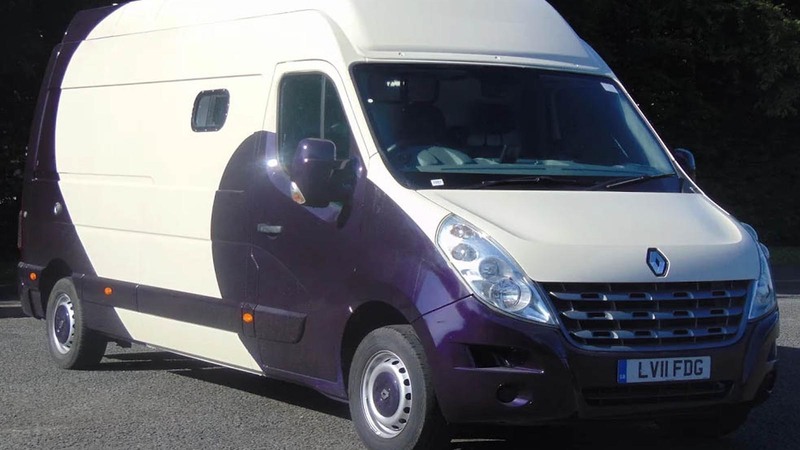 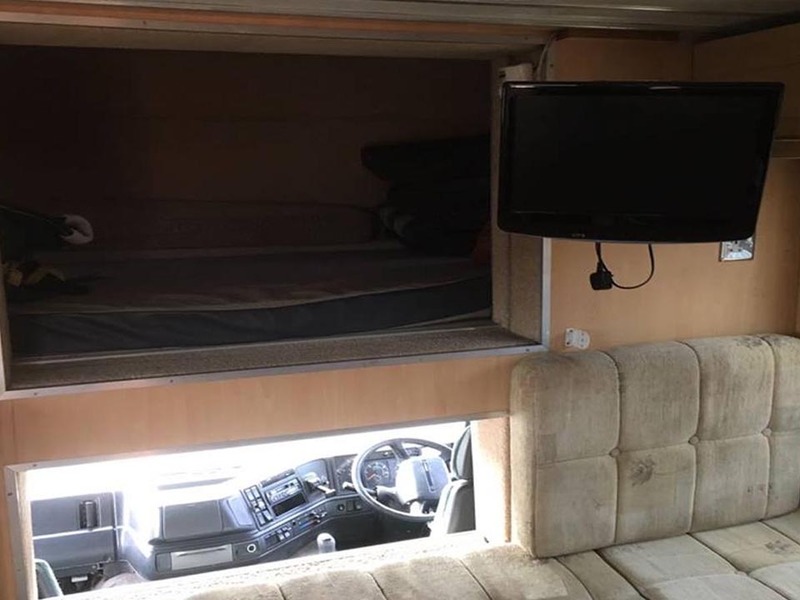 Both options have their benefits, a simple van conversion can be done at a lower price making it an affordable option, while a coachbuilt Renault master allows you to carry two large horses. 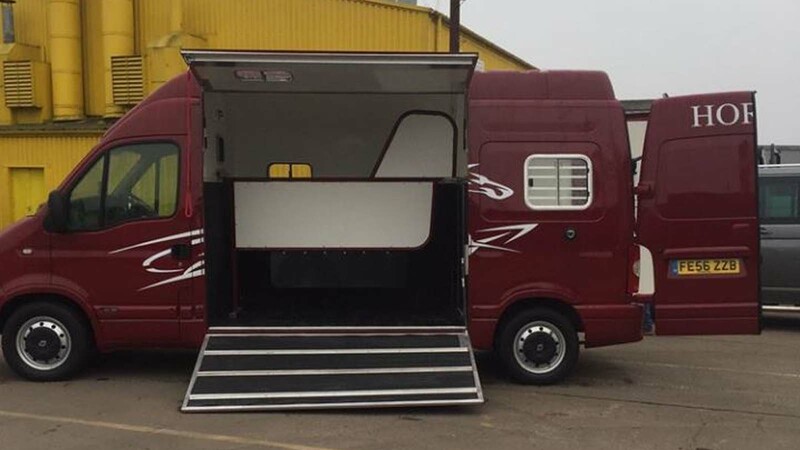 Here at Ruby Rose Horseboxes we are able to build a horsebox to your specific requirements. 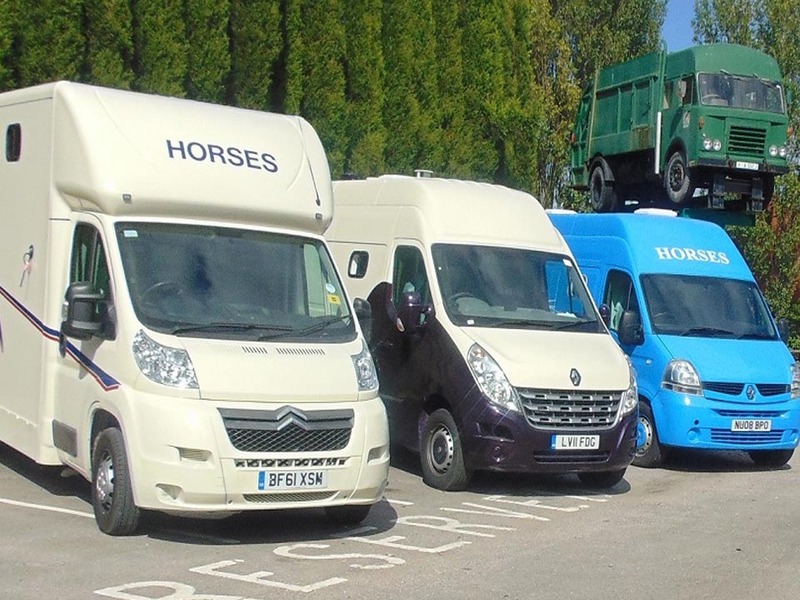 All our horseboxes are built to a high standard without compromising quality. 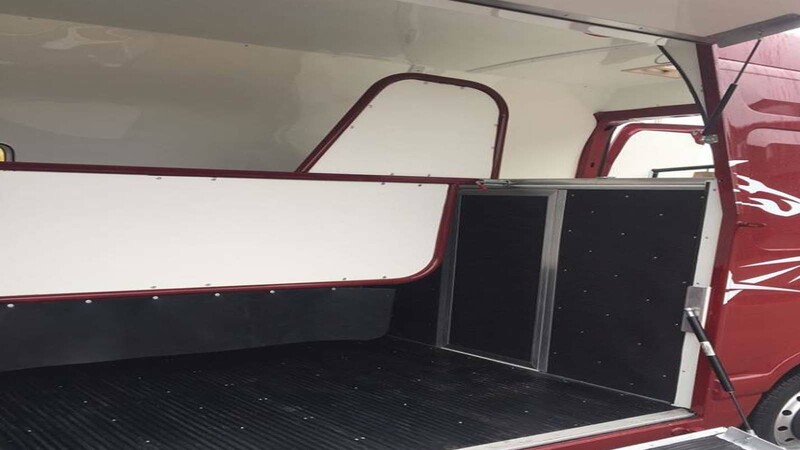 All our horse boxes come with mechanical and build warranties, to help ensure peace of mind when you come and drive your horsebox away. 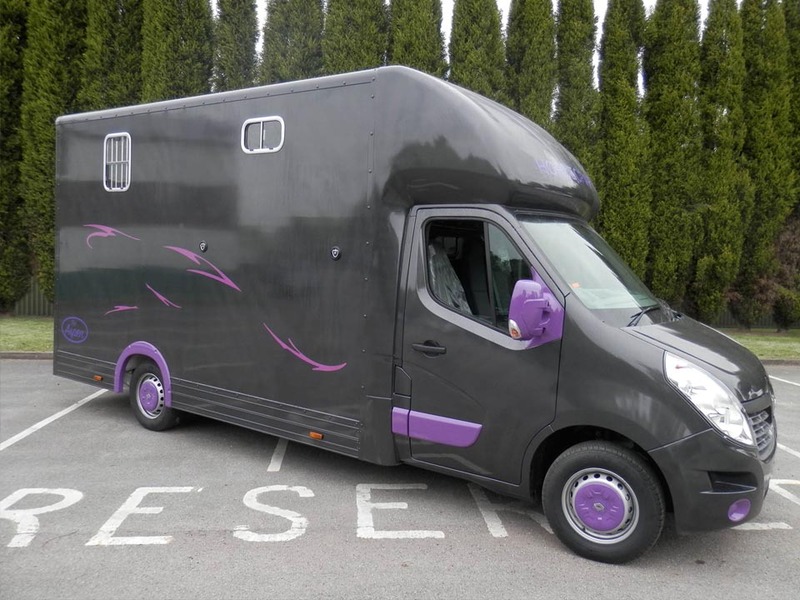 Here is an example of a horse van built and sold and now has a happy new owner, get in touch for more information on building a renault van conversion horsebox. 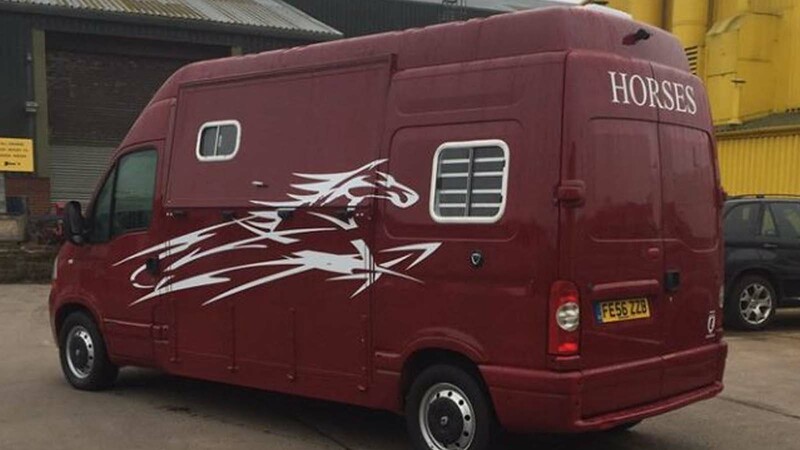 Ruby Rose Horseboxes are experts in converting renault master horseboxes, from simple van conversions through to coachbuilt renault master horse vans, listed is a horsebox sold but we often have a selection of renault vans as donor vehicles and can create a horsebox conversion to be manufactured to your specific requirements. 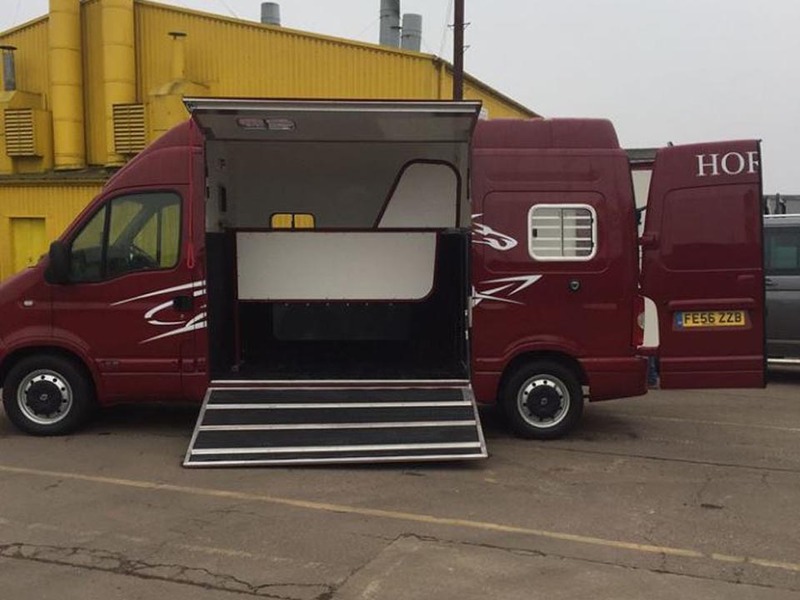 As well as 3.5 tonne horseboxes, Ruby Rose can also upgrade the renault vans to allow you to carry larger payloads, giving you the ability to carry two large horses as well as having a bigger tack area. 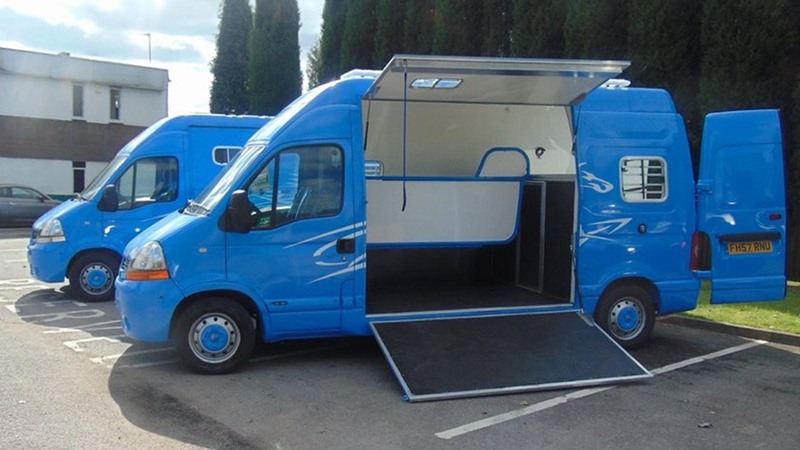 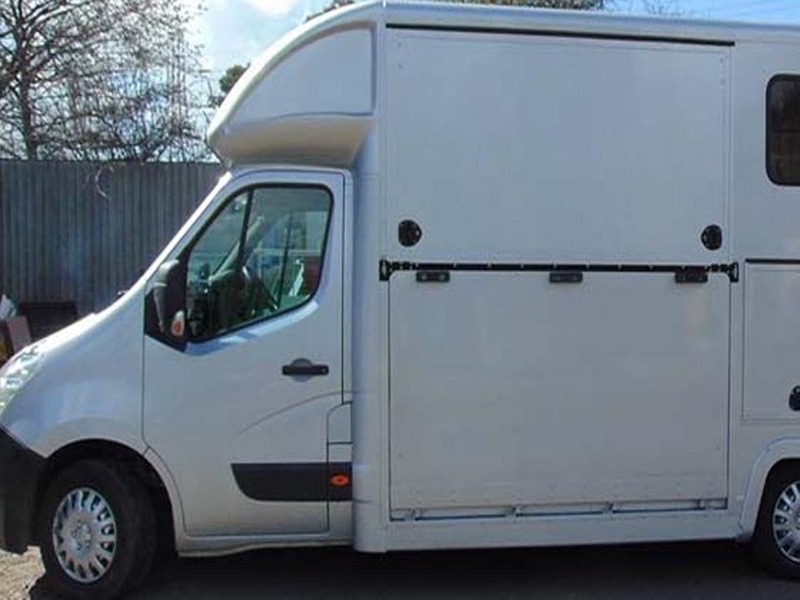 If you decide to upgrade your donor van to carry a larger payload you may need to have a different driving license than the standard license that you are able to drive a 3.5 tonne horse van with. 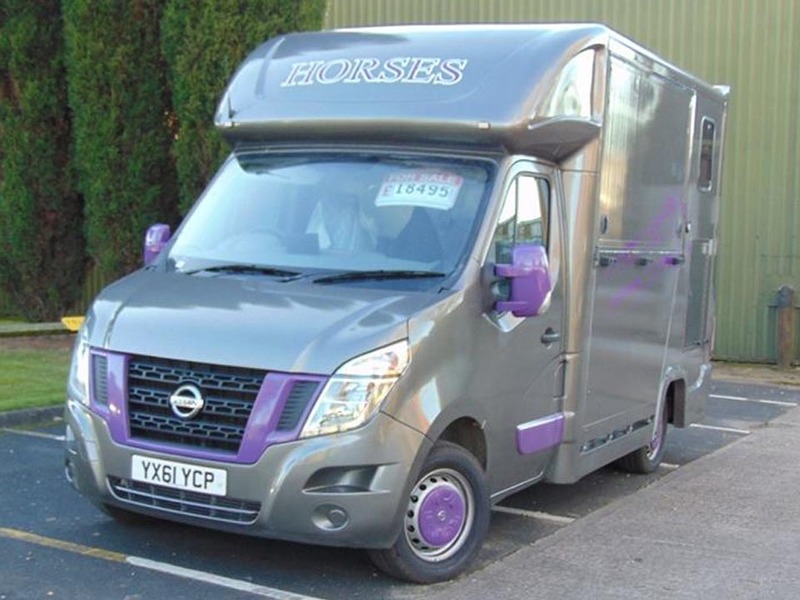 Although most the vehicles sold by Ruby Rose horseboxes are converted by ourselves we do on occassion buy second hand vehicles and take second hand horse lorries in part exchange, for more information please email us at sales@rubyrosehoseboxes.co.uk for more information. 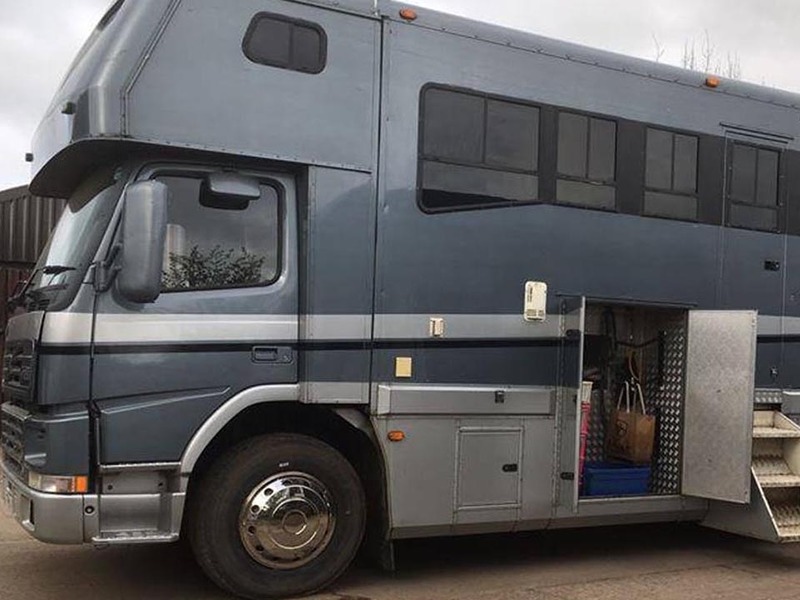 We also accept horseboxes for sale on behalf of clients so if you would like to sell your horsebox please dont hesitate to get in touch. 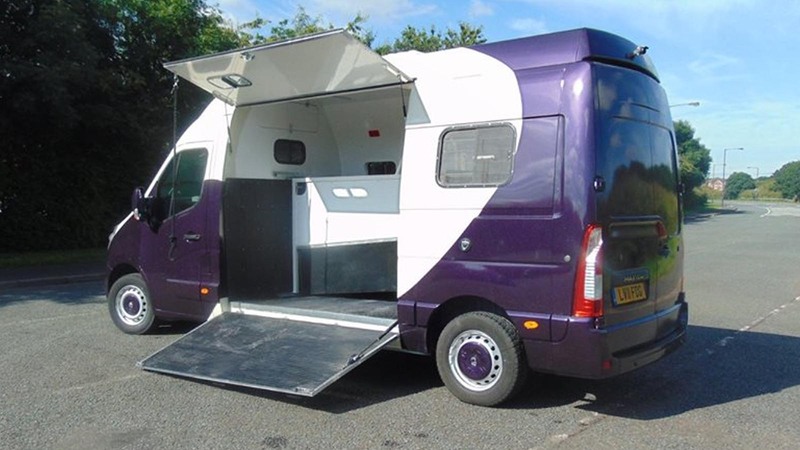 Interested in a new buid or one of our second hand horseboxes available for sale, please complete our simple online form.